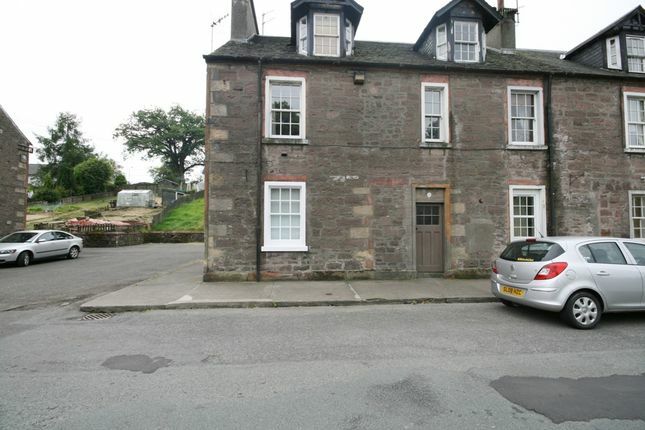 Traditional ground floor flat in popular semi rural village which is within easy reach of Doune which has a good range of local shopping facilities and health centre. A solid wood entrance door leads to the communal hall and stair. The accommodation comprises entrance hall, cosy lounge with wood burning stove, kitchen which has electric hob and oven, washing machine and fridge. The double bedroom has a recess cupboard. The bathroom has bath with electric shower over, WC and wash hand basin. To the rear of the property there is a good sized communal garden area.